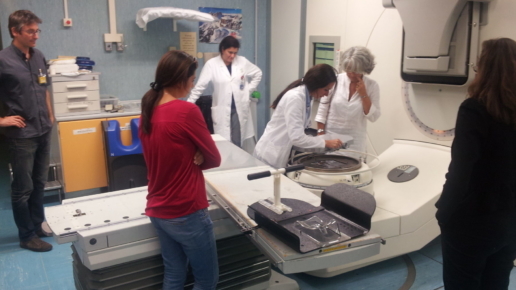 To investigate the feasibility of using IQM for in vivo dosimetry of stereotactic radiation treatment with step-and-shoot intensity modulated radiation therapy (IMRT) or rotational volumetric modulated arc therapy (VMAT). Prostate and head-and-neck IMRT and VMAT plans were used to assess IQM constancy in stationary and rotational delivering modes, respectively. 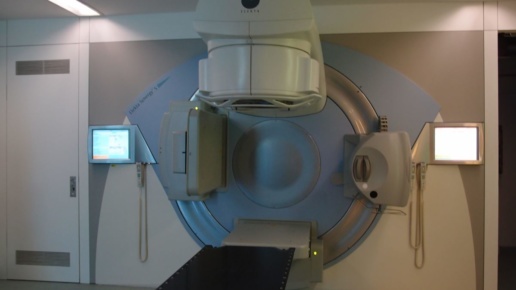 The IQM sensitivity of detecting dosimetric deviations caused by leaf errors in SBRT were evaluated with different plans. Two scenarios of plans were assessed: relatively small and large targets. Single leaf offsets of 2 mm and 5 mm into fields were introduced into the plans. 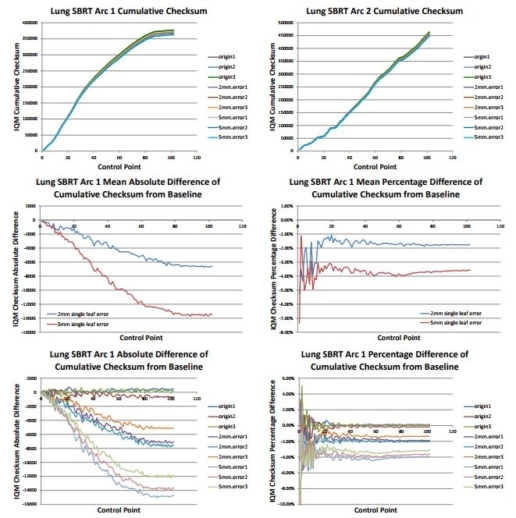 Sensitivity of IQM detecting dosimetric errors in these scenarios were compared with TPS plans and MapCheck2 measurements. 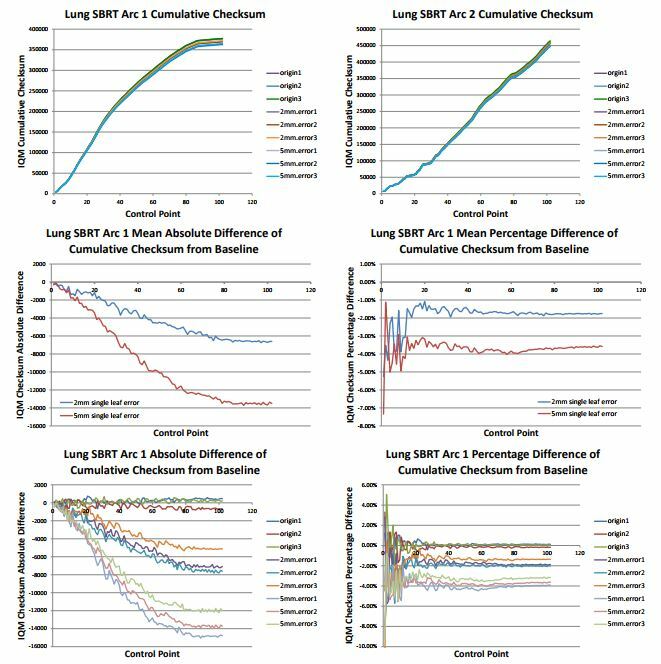 IQM constancy measurements across several days showed 0.1-0.2% average standard deviation for cumulative checksum comparison in prostate and H&N IMRT deliveries and 0.7-1.0% in the tested VMAT cases. 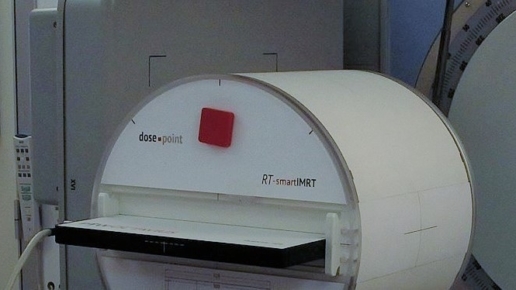 IQM is a stable dosimetric system and can detect dosimetric deviations caused by small leaf errors in stereotactic radiation therapy. IQM sensitivity to leaf errors is more pronounced for relatively small fields (i.e., small targets) in SBRT and IQM appears to be more sensitive than Mapcheck2 to small leaf errors in SBRT for small targets while showing similar sensitivity in SBRT for relatively large targets.